"Maybe it's good to put things in perspective, but sometimes, I think that the only perspective is to really be there. Because it's okay to feel things. And be who you are about them". 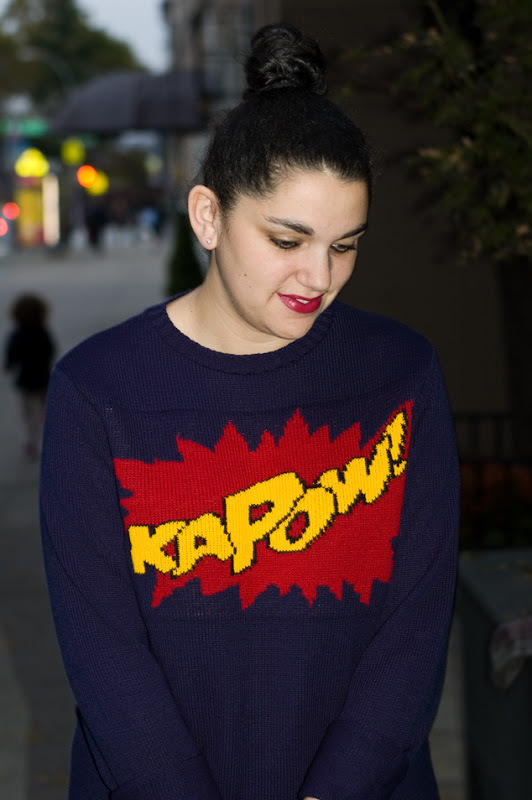 I love this sweater, and I am so bummed I missed out on these boots. And you're really making me want to read this book with all the quotes! this outfit... i can't even deal. 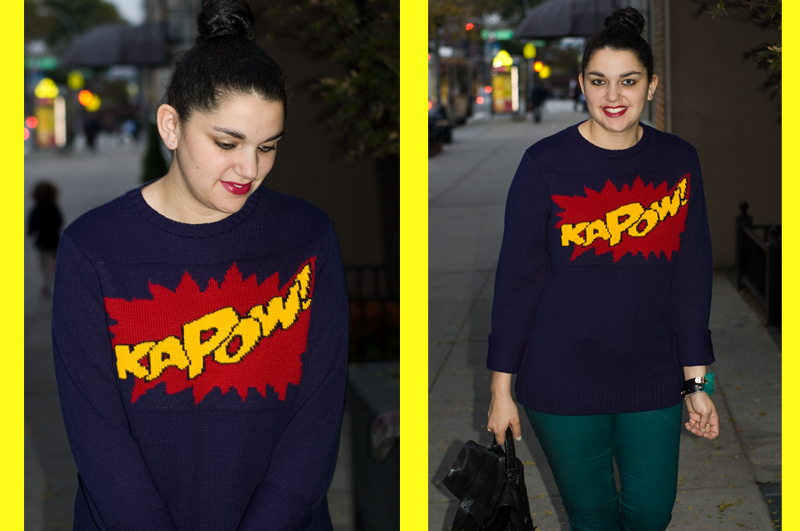 it's ka-pow perfect!! 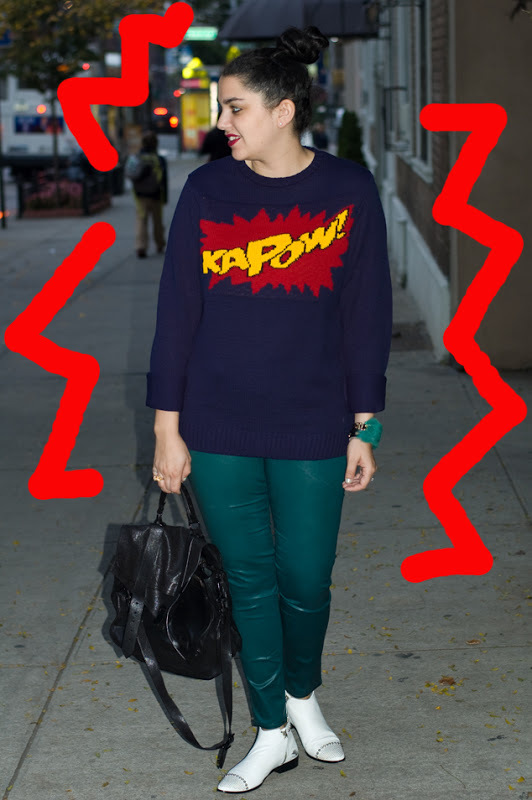 Fantastic pants and sweater, they really compliment eachother! such a fun look! 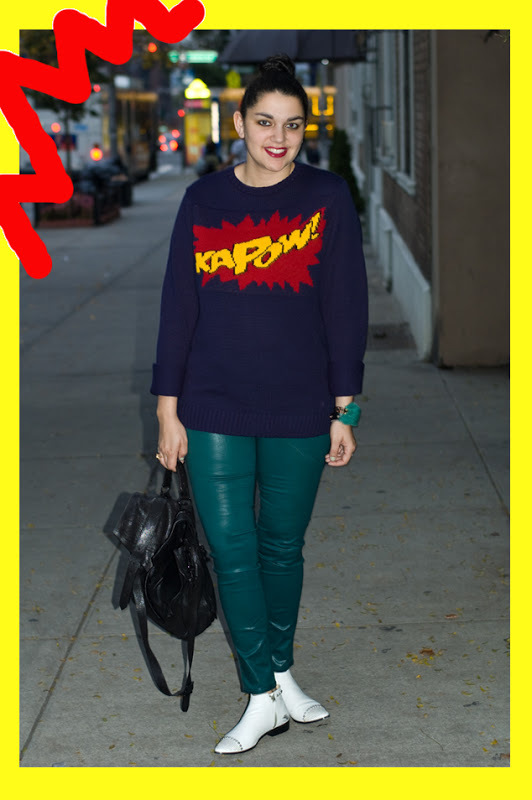 Love the sweater...and those shoes! !